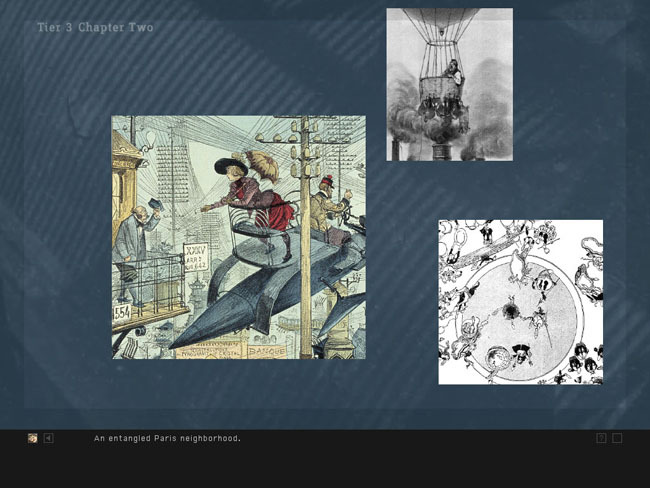 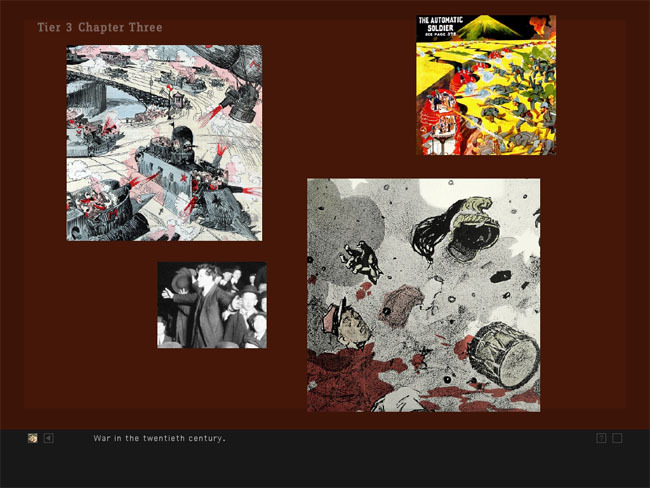 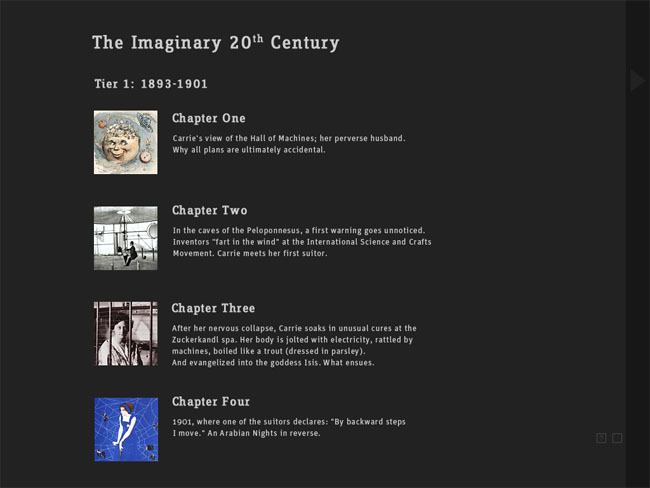 The Imaginary Twentieth Century is an interactive database narrative that circumscribes the contours of the twentieth century as it was imagined at the end of the nineteenth. 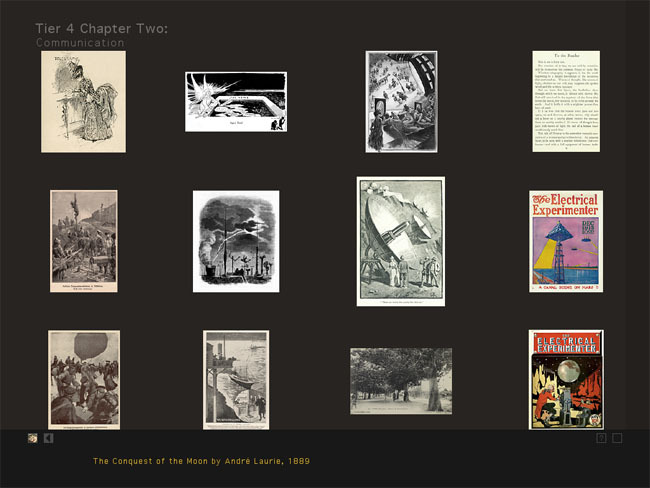 The project - as a computational collage-engine - assembles endless versions of a possible future, drawing from an extensive database of predominantly popular culture ephemera that circulated at the end of the nineteenth century. 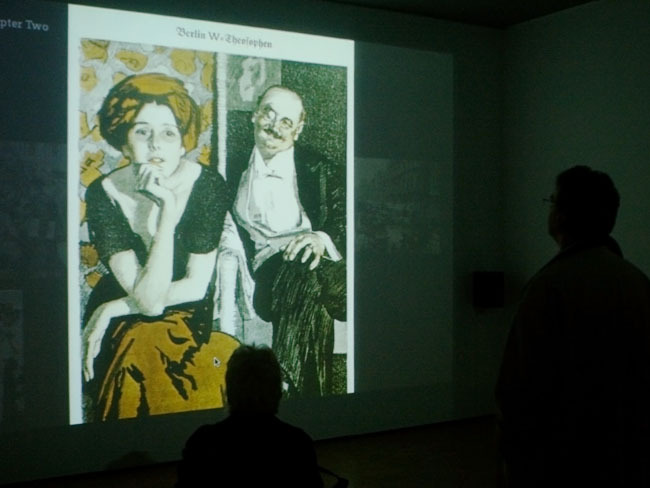 The collection of the pieces comprises many thousand illustrations, carricatures, photos texts, films and more, researched from numerous archives and collections. 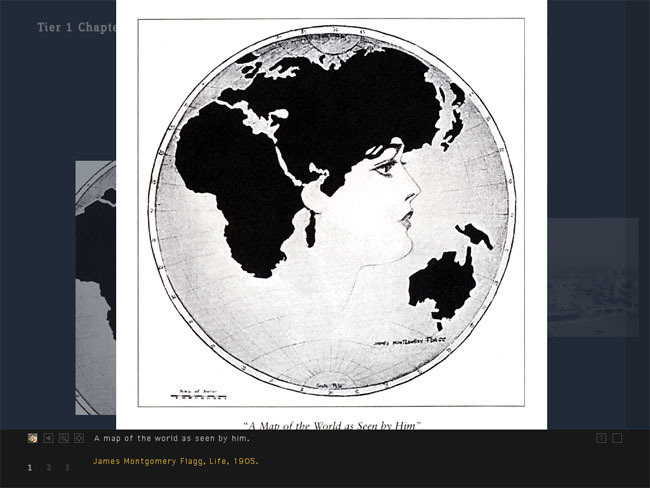 The story of Carrie, a young woman who, after a failed marriage, travels the world with her suitors, frames the exploration of this database. 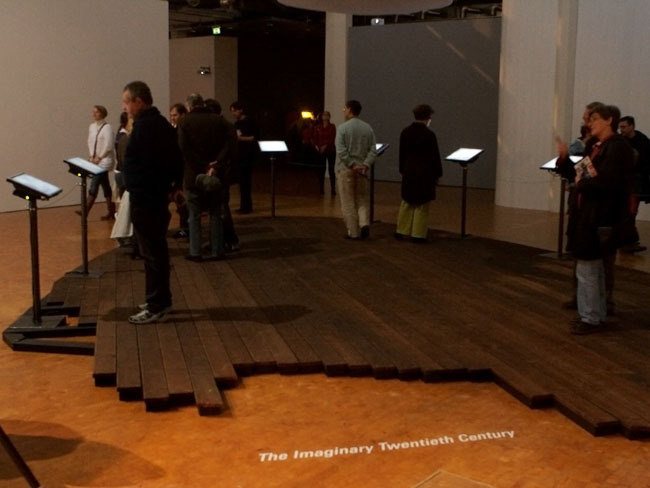 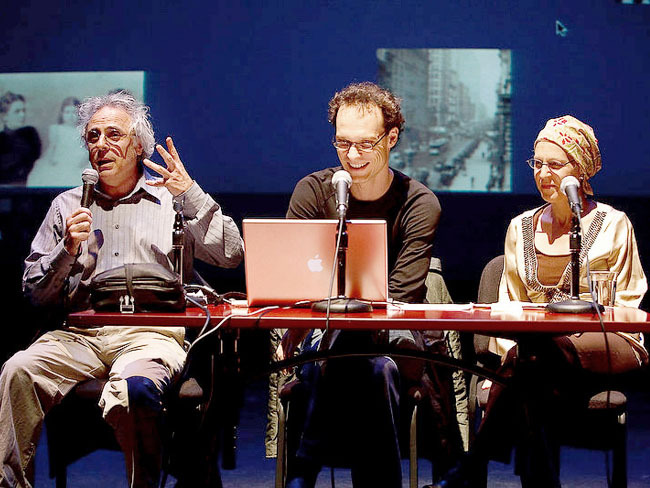 The project was produced with the support of the Center for Art and Media (ZKM) and was shown as part of the exhibition "YOU_ser" in the ZKM from 2007 until 2009. 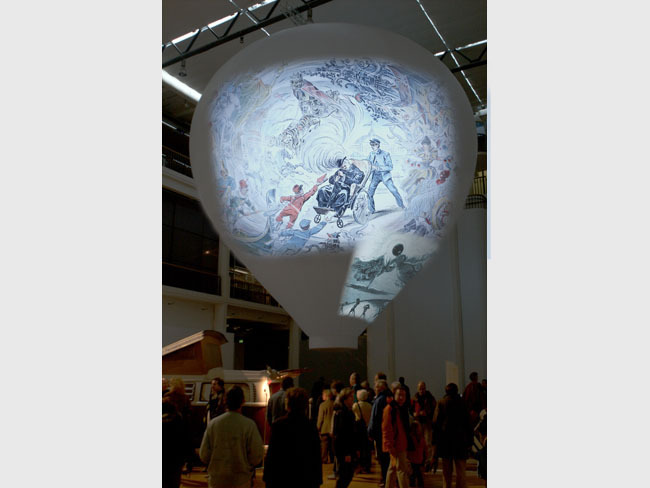 It was set-up as a two part installation with an ante-chamber under a giant balloon with various database-assemblages contextualizing the turn of the century and Carrie's story. 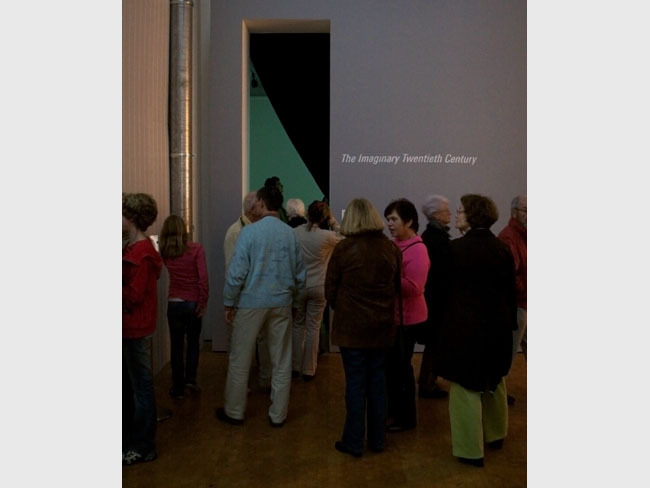 The main part was the interactive collage engfine that could be explored by museum visitors.